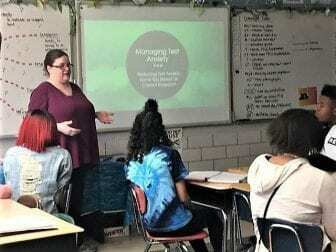 BUFFALO, NY (WBFO) – A new online training program in the state is now available to help educators better prepare in supporting student mental health. The Mental Health Association in New York State provides the service for educators. “This particular one is really geared to teachers and really provides just a basic understanding about mental health,” said Glenn Liebman, CEO of the association. This new online training program is called Supporting the Mental Health and Wellness of Students. It’s designed to deepen the understanding of this critical topic. It includes learning how mental health troubles affect youth development and learning which signs, symptoms and risk factors that educators should look for. The online training works to enhance the state’s recent law that now requires all schools to teach some form of mental health to students. Since implemented last fall, Lieberman said, more than 50 percent of the state’s public schools have accessed its resource center. “People have been really incredibly positive about this. They recognize the need,” Liebman said. He said there has been no pushback in enforcing a curriculum. Liebman said schools have been working hard to embrace the new teachings — and he even offers a letter grade. “If it were pass/fail – it would definitely be a pass, but I would say it would be in the ‘A’s’ at this point because they’re really embracing this,” Liebman said. The Mental Health Association is pushing to securing $1 million in funding for the School Mental Health Center in the upcoming state budget.